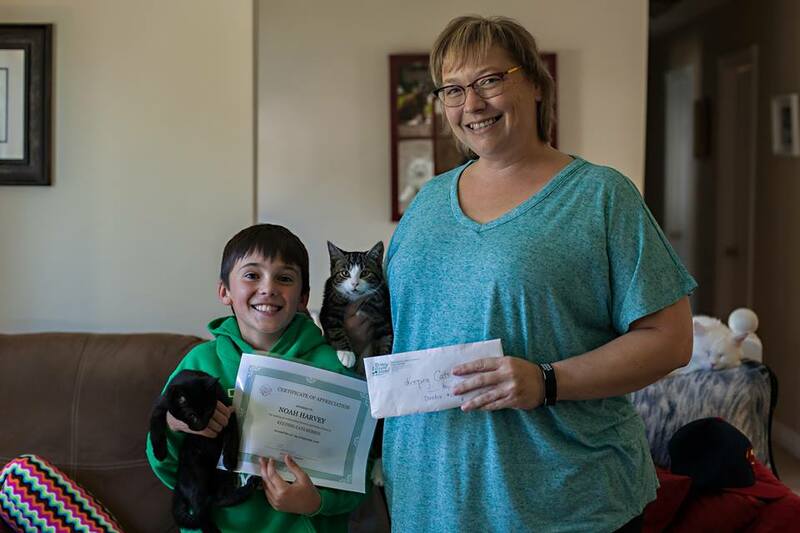 At our recent meeting, Noah Harvey, along with his brother Braeden and mother Naomi, stopped by to drop off a very generous donation of $130! Noah participated in the Young Millionaires program this past summer where he made cat toys and for the sale of every toy, Noah donated $1 to KCH. We are very impressed by his generosity to give a portion of these proceeds to help the kittens. Thank you so much Noah from all of us at KCH! !